One of the major challenges of distributed generation is getting regulators and utilities to find the right balance between being profitable and giving consumers more choices when it comes to meeting their energy needs. While end users may not have the option of where the utility generates their power, they do have the option to use their own alternative power sources and sell excess power back to the utility. One way to measure their choices is net and bidirectional metering. But knowing which business model to use, and even changing from an existing one, is a difficult task for utilities. Instead of obtaining energy from a centralized source, such as gas- or coal-fired power plants, distributed generation allows utilities to generate electricity from alternative sources. Utilities benefit from using distributed generation to lower their impact on the environment by generating electricity from energy sources in their proximity. Distributed generation can also be used to enhance electricity supply security. Another possible benefit may be the potential for utilities to buy this energy cheaper in the future due to open market competition. Modernizing the grid is a huge undertaking for utilities across the nation. But those that become more flexible now will better position themselves for the future. Utilities need to balance the power from the generation plant and that being generated by residential and commercial sources to maximize efficiencies and remain profitable. But when state laws and regulators force utilities to buy electricity at the same rate at which they sell it, they don’t consider the full cost of providing electricity to end users. Without a solid distributed generation strategy, utilities could fall behind not only with the competition, but with compliance regarding new energy policies in which states have set ambitious renewable energy targets. For example, utilities in Minnesota are working to meet their goal of generating 25 percent or more of their power using renewable sources such as wind and solar. 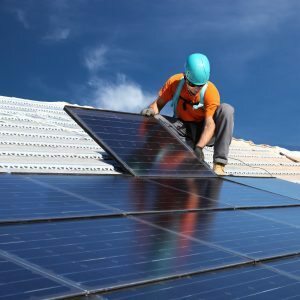 At the end of January, Minnesota utilities began developing a net metering alternative that allows them to set a price on the value of solar and give customers credit if they are supplied with a sufficient amount of solar energy. Therefore, distributed generation can help states and utilities meet their goal in the national push toward renewable energy usage. With an effective business model, distribution generation could allow utilities to purchase power from less expensive sources than centralized power plants. While power generation facilities will not go away entirely, distributed generation could be considered a way to capitalize on residential and commercial trends that lean toward alternative power sources. Distributed generation can be a way for utilities to keep costs down, which will result in lower rates for consumers. Schedule a free consultation with Border States to learn how a strategic partnership can help you achieve your goals and objectives to grow your business.